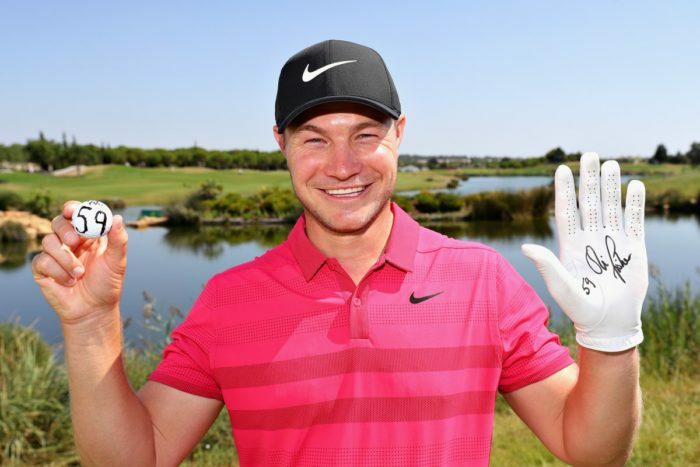 Oliver Fisher has made history by carding the first round of 59 on the European Tour at the Portugal Masters. Since the formation of the European Tour in 1972, there had been 19 rounds of 60 but the magical sub-60 barrier had yet to be broken in over 690,000 rounds. Darren Clarke had recorded 60 twice, with Brandon Stone the last man to do it at the Aberdeen Standard Investments Scottish Open in July. That all changed on Friday at Dom Pedro Victoria Golf Course, as Englishman Fisher recorded 10 birdies and an eagle in a bogey-free 12 under par effort to put his name in the history books.